Whether you’re a parent or not, there comes a time when you will be in search of the perfect gift for a special child in your life. Personally, I think a perfect gift for any young child is his/her very own favorite chair. 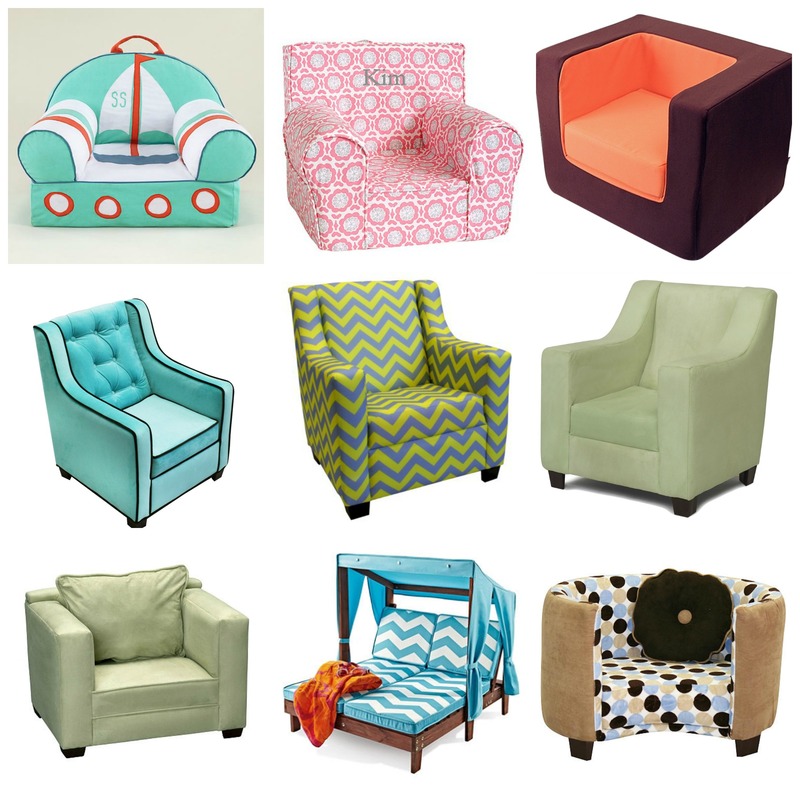 Forgoing the over-sized and old-fashioned club chairs of yesterday (picture Archie Bunker’s chair from “All in the Family”), today’s chairs for adults and kids can be both stylish and comfortable. P.S. I threw in the KidKraft outdoor double lounger simply because I couldn’t resist how adorable it looks. I’m sure it will serve better outdoors but if someone wants to bring the outdoors in, the lounger will definitely become an instant focal point in any playroom! Do you have a favorite? I actually love them all. Note: My “FB like” stats have sadly been erased as of 5/14/14 due to a necessary URL permalink structure change. All likes on this post will reflect any stats as of 5/14/14. Perfect timing because I will be featuring patio stuff (adults and kids) in upcoming posts. Kids would love their very own picnic table or outdoor table & chair set. Stay tuned :). I really love that KidKraft lounger ($99 at Sams Club. That’s a steal!) Only concern is that you’ll have to cover it after the summer. Anything will get weathered through our rough Winter months. They are all beautiful!! I think my daughter would love the canopy.